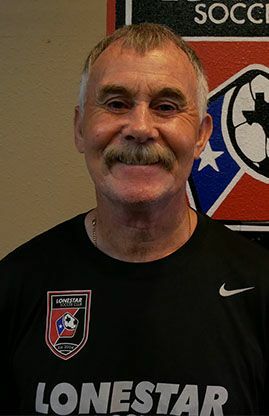 Brian Monaghan has been involved at the professional and youth levels of the game in the United States since he arrived in Austin in 1985. He has never left South Texas and has been Director at several of the biggest youth clubs in the state. As a coach at previous clubs he was involved in the early development of several current and former U.S. National Team players. During his many years of club coaching he has helped in the placement of hundreds of players at schools all around the Country through a network of college coaches built up over 25+ years. His previous club teams have won many State and Regional titles along with winning two National Championships. •Region III Head Coach 1989-2007, Taking ODP Region III Boys teams all over Europe to compete against teams such as AC Milan, Real Madrid, Ajax, Manchester City, Ajax, Bayern Munich, Celtic amongst many others.